Ergodyne Chill-Its 6602 Evaporative Hi-Vis Lime Cooling Towel with advanced PVA cooling technology reduces the effect of heat stress and fights fatigue. 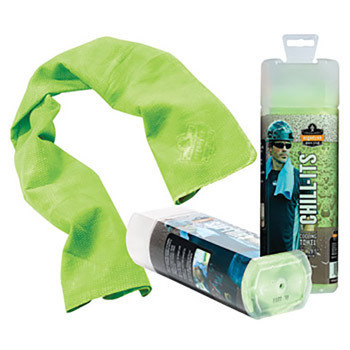 Towel measuring 13" X 29 1/2" create a cooling aid significantly colder than ambient air. Towel can be easily activated by keeping it in cold water for one min. 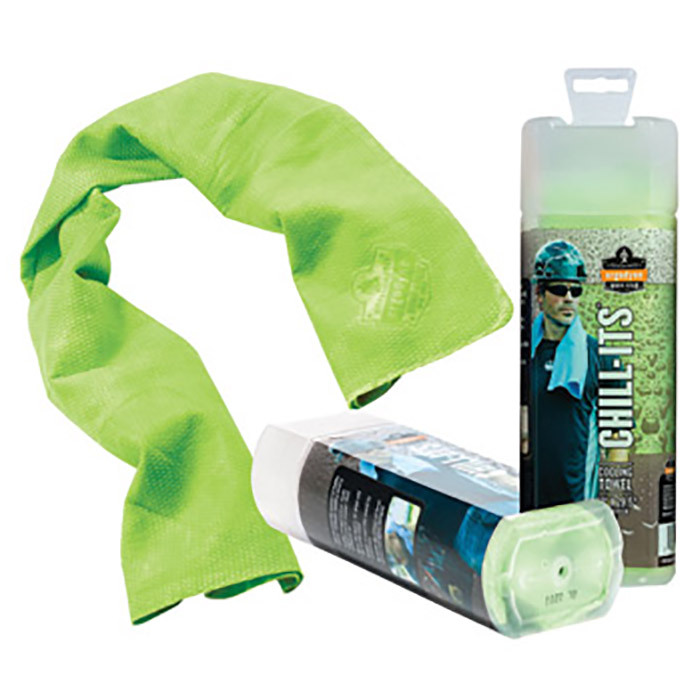 Machine washable towel provides cooling evaporation to keep workers comfortable all day long. It can be easily re-activated by soaking in water.